While out at your favorite dog park with your new Labrador Retriever watching the owners play catch with their dogs and discs, you realize it's time to show Howie how to catch one. You refuse to be outdone by the showboating team of Jeff Johnson and his German Shepherd, who you must admit, make disc-throwing look like an Olympic sport. Before you and Howie get started, you need to introduce the concept to him slowly. The goal is for him to chase a disc, catch it in his mouth, and bring it back to you without hurting himself. It's a good idea to practice just the two of you in the backyard to get him comfortable with this new sport. When you start throwing discs at your dog, he might not know right away what to do with it or why it's in the air for that matter. Begin by rolling the disc to him to get him used to the size and shape of it. 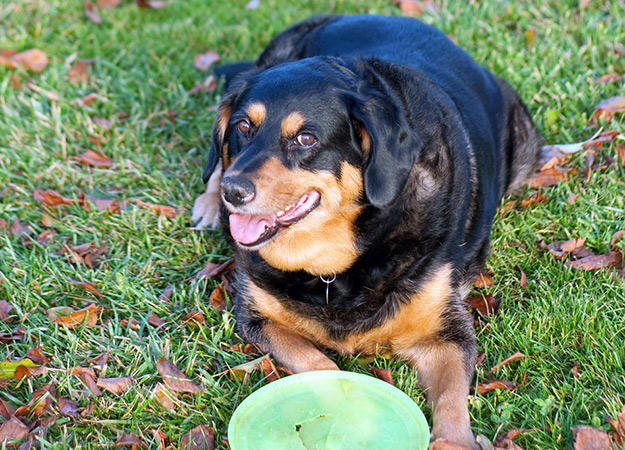 Some trainers suggest even attaching food or treats to the disc so they can associate it with something fun and positive. When Howie finally gets it, make sure to praise him. And don't expect him to be an Olympic dog champion overnight. What’s Really in My Pet’s Food?